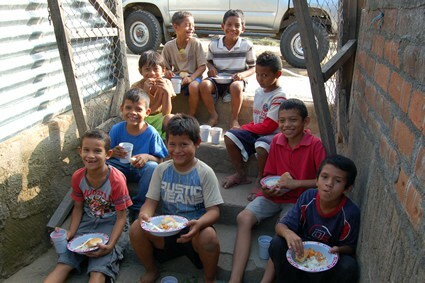 We began our ministry in Nicaragua in 2002, when the Child Sponsorship Program was started. In just seven years of ministry, we have served over 30,000 children in Nicaragua. William José Gutiérrez Rojas joined us as an administrator in 2002 and was appointed Country Director in 2003. 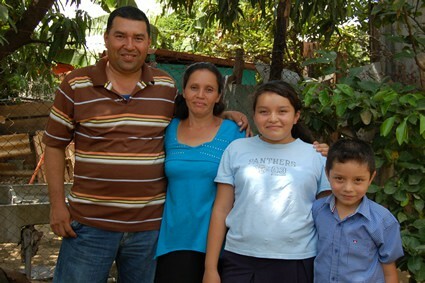 Before coming to our ministry, William served as the Country Director for Habitat for Humanity Nicaragua for two and a half years and for the Council of Evangelical Churches Pro-Denominational Alliance for 11 years. Born in a rural area, William did not begin school until he was 11 years old. However, his mother had taught him to read, write and do basic math at home. The earthquake of 1972 influenced William’s decision to work in Christian ministry as an adult. When the earthquake struck, his local church offered services for the children and adults in the community, and he was able to see firsthand the effect it had on them. 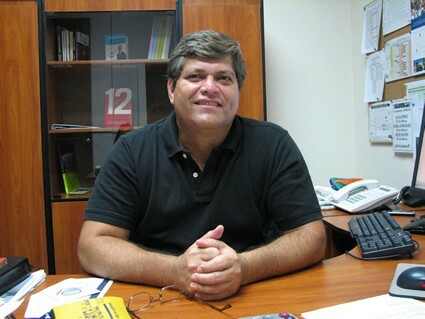 William holds a degree in business administration from Central American University in Nicaragua. He serves as a substitute preacher at his church and also gives support and counseling. Implementing Church Partners are local churches with whom we work to deliver our child development program and ministry in the field. According to the 2005 census, 22 percent of the population claim to be evangelical Christians. This represents significant growth as just 10 to 20 years prior, evangelical Christians only accounted for 15 percent of the population. This growth is most evident among the poor and in Pentecostal denominations. 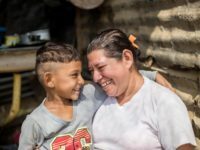 In general, the high level of poverty in Nicaragua generates uncertainty among the population which increases dependency on God. Evangelical churches must have all their legal documentation up to date to avoid persecution from the government. Persecution mainly happens at a business level. 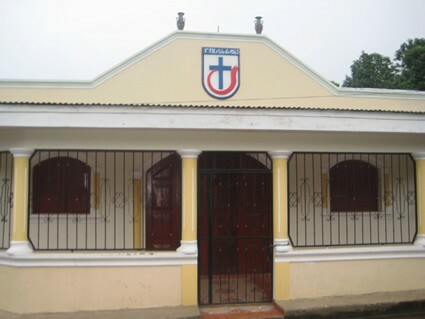 For instance, churches cannot have a bank account if they are not registered with the Nicaraguan government. 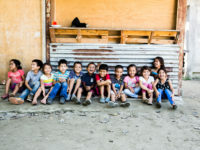 One challenge for Implementing Church Partners in Nicaragua is that they are located in extremely impoverished areas where church volunteers have a low academic level. Implementing Church Partners pay about 50 percent of the electricity, phone, Internet and water service costs. They also provide construction for new facilities, facility improvement, and payment for the land where the child development center is located. The church committee volunteers their time at the project as well. 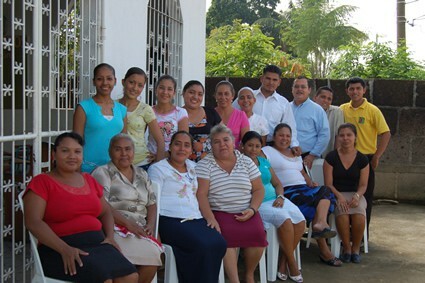 There are Implementing Church Partners in Nicaragua that have church-to-church partnerships with churches in Canada and the United States. One supporting church partner provided the construction for a kitchen and basketball court, another bought property and paid for construction of a kitchen and classrooms, and yet another provided the construction for two classrooms. 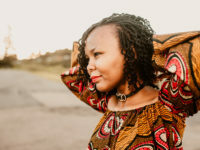 We develop ministry partners through training, facilitation, spiritual retreats, meetings with the pastors and project staff, and Complementary Interventions. 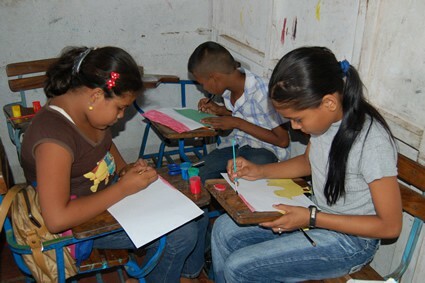 Your sponsorship of a child in Nicaragua provides a variety of benefits. Children attend school either in the morning or the afternoon, so the child development centers schedule their meeting times accordingly. Each child receives a meal consisting of rice, meat, tortilla and natural juice, tea or cereal. Children also sometimes receive a snack that consists of fruit salad, rice with milk or a thick hot drink made of corn meal. This food is intended to complement what they are already receiving at home; it is not meant to be their main source of nutrition. However, when children are malnourished, we use nutritional Complementary Interventions. Also some Implementing Church Partners coordinate with and receive support from other Non Governmental Organizations for feeding programs. Part of our medical checkup is ensuring that children have received their vaccines, so parents are encouraged to take their children to the local health center for vaccinations. If needed, Implementing Church Partners can request a “vaccination day” at the child development center and the Ministry of Health will facilitate this through the local health center. Also, some communities have an agreement with one of the hospitals to do medical checkups and give medical attention in case of emergencies. Children participate in extracurricular activities such as camps, sports, field trips and art. Camps are held once or twice a year, field trips are done once a year, and sports and art are offered regularly throughout the year. Children also participate in tree planting at least once a year and cleaning up in their community twice a year. We offer vocational skills training because we want to give them the necessary tools to generate their own income. Adolescents are involved in vocational skills such as computers, sewing, carpentry, music, baking and hair styling. They also participate in camps, spiritual retreats and sports. We have parents’ meetings either monthly or quarterly depending on the Implementing Church Partner. At least once a year, parents receive training on topics such as hygiene, preventative health care and child protection. They also participate in church activities and volunteer work such as cleaning and helping in the kitchen. 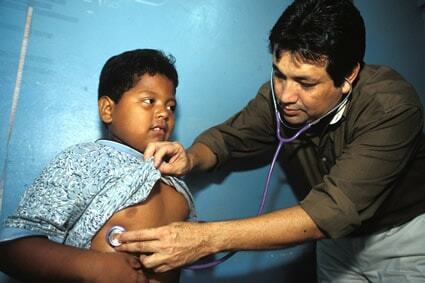 Twice a year, parents participate in their child’s medical checkup. We would like to expand into the Western and Southern areas of Nicaragua, because these areas have some of the greatest educational and nutritional needs. Our core Child Sponsorship Program, while comprehensive, does not address all obstacles to a child’s healthy development. The Complementary Interventions program was created to work with our holistic child development model to provide additional services, such as our AIDS Initiative, funds for Bibles for All Children, disaster relief and water projects. Our main priority for Complementary Interventions in Nicaragua is nonformal education because we are working toward successful departures. We have also provided dental, visual and nutritional Complementary Interventions. Our goal with dental and visual Complementary Interventions is to cover all children younger than six years old, and we are taking a more preventative approach to nutrition. Thanks so much for this update. 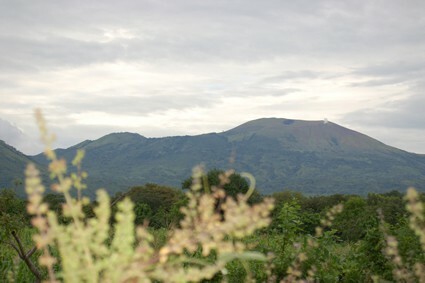 I lived in Costa Rica and visited Nicaragua several times and fell in love with the country and people. I never thought of sponsoring a child from there but am definitely considering it now. Maybe I’ll ask for that instead of other Christmas gifts I don’t need!